I helped create this for my wife, Alyssa. 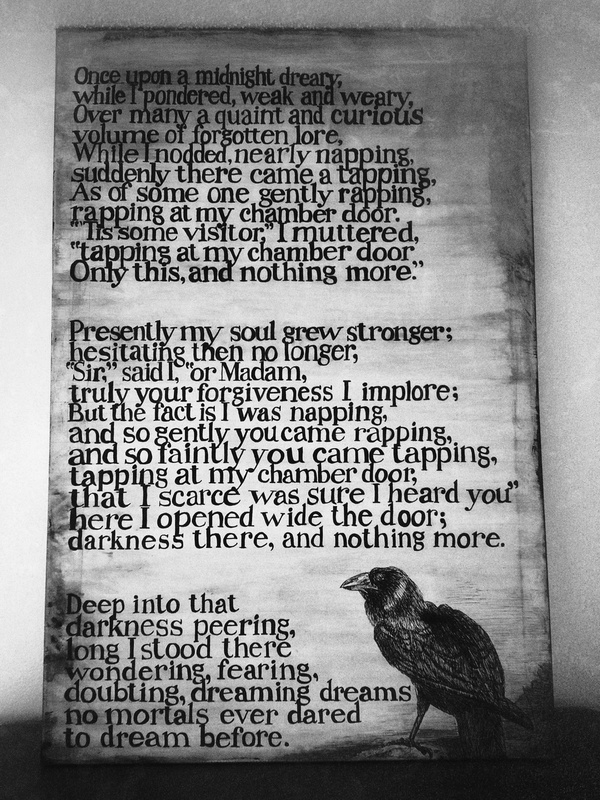 She loves the poetry of Edgar Allan Poe and wanted something based on The Raven. So we shortened the text and used the best parts. I penciled all the lettering and she inked it. Then I drew the raven and grunged up the background and edges. Turned out kinda creepy, so now we have to find a good place to hang it.